Since the founding of the label FERRARI ZÖCHLING in 2013, collaborations with fellow creative friends have been present in the designs. For the upcoming winter collection the Vienna-based photographer LISA EDI was invited to integrate her works into the collection as textile prints. Her photography plays with the effect of alienation, fragmentation, and abstraction, and is characterized by an interest in playful paradoxes. FERRARI ZÖCHLING is a young women's wear label based in Vienna. 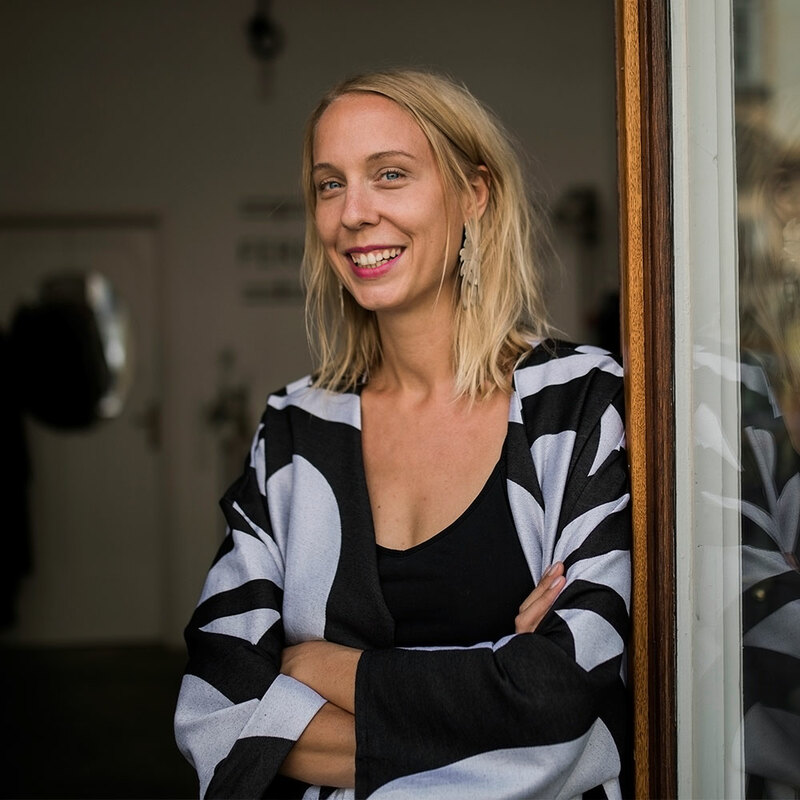 Since its founding in the Summer of 2013, designer Romana Zöchling has put great emphasis on working closely with fellow creatives. In addition to the collaboration with the artist Hatschepsut Huss and Luna Ghisetti for the past Collections, the labels fundamental design concept draws inspiration from the analogue photographs of Severin Koller which after being printed on silk or vicose are then integrated into the collections. FERRARI ZÖCHLINGS products are made exclusively in Austria and are also available made to measure. The majority of the Garments are produced in in the label's studio and shop at Kirchengasse 27 1070, Vienna.